Bull & Co Advokatfirma was founded in 1864, and is a business law firm located at Solli Plass in Oslo. Clients range from listed international companies to family businesses, the public sector, pro-bono organizations and private individuals. 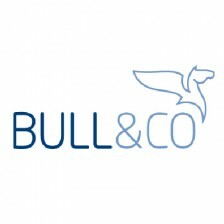 The lawyers at Bull & Co assist with business matters in most areas, such as corporate, finance, real estate, restructuring, employment, environment, competition, intellectual property and technology. Depending on the size and character of each case, they will assemble interdisciplinary teams that gives you access to draw on the full range of skills and experience through a partner in charge. Through their international network, Bull & Co have access to local legal expertise all over the world.